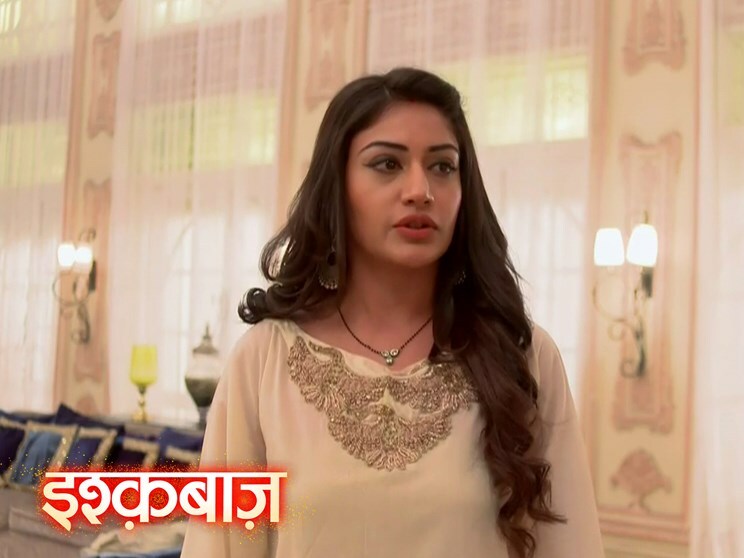 Ishqbaaz: Anika’s mixed surprises for Shivay… Shivay receives a shocking call from Tej. Roop manipulates him. Shivay suspects that Rudra is trying to prove him insane. He feels Rudra has apologized, and can’t back stab him again. Gauri gets angered on Shivay for deciding to divorce Anika. She feels Anika’s pain. She asks Omkara to explain Shivay that he can’t mock the marriage this way. She suggests him to stop Shivay. Gauri threatens Omkara that she will also do the same as Anika and oppose him. She wants someone to put sense in Shivay’s mind. Moreover, Shivay gets investigating about the culprit who is driving him mad. He gets more clues about Rudra. He learns that Rudra is the one who has tried to hurt his mental health. Omkara asks Gauri not to get angry on him, since its not his mistake. Gauri yells at him. Omkara likes to see her anger. She gets too serious. Omkara convinces Gauri with love. He likes to see her anger for a change. Shivay looks for Anika everywhere. He asks Gauri about her. Gauri has no idea about her. Gauri tells him that Anika has left from the house. Shivay asks Khanna about her. Khanna tells him that maybe she has gone to her aunt’s house. Shivay gets no clue about her anywhere. Gauri takes Shivay’s class. She scolds him for always insulting Anika and hurting her heart. He feels guilty. Omkara and Rudra try to find Anika. Shivay misses Anika. He learns that Anika has left a note for him. Omkara and Rudra get a shock when they find Anika’s missing news doing the rumors. They don’t want the family respect to get at stake. Shivay worries for Anika a lot. On reaching home, he gets a shocking parcel from Anika. He reads Anika’s emotional note, where she gives up on her relation. Anika’s love touches his heart. He realizes his big mistake. He regrets on his deeds. He wants to get Anika back. Gauri congratulates him for his marriage with Twinkle. He refuses to marry anyone else. He clears out that he won’t love anyone else ever in his life. He gets crying for Anika. Anika surprises him by returning to him. Anika tells him that she can never leave him. Shivay gets happily surprised with her return. She tries to calm his trauma. She tells him that they will together save all the problems.